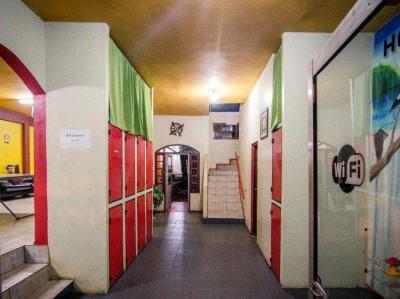 Puerto Iguazu – Hostels in Puerto Iguazu. Maps for Puerto Iguazu, Photos and Reviews for each hostel in Puerto Iguazu. 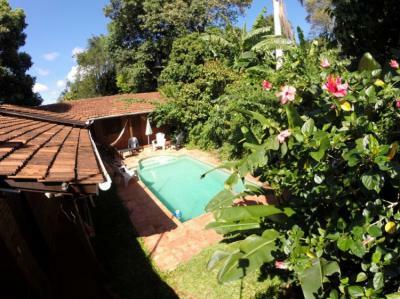 Looking for a hostel in Puerto Iguazu? Look no further, all the good deals in Puerto Iguazu are on Dorms.com. Like thousands of other people every month, book your hostel securely at the best price in all neighbourhoods of Puerto Iguazu. On this site, you can easily find a hostel downtown, in a trendy neighbourhood; a hostel in the student- university district, close to bus or train stations, airports or major attractions of Puerto Iguazu. Downtown is just 10 minutes walk and you will find banks, shops, bars and restaurants. Only 4 blocks from the bus station so you can just walk to get here. 2 blocks from the bus terminal and restaurants. 18 km Iguazu Falls National Park. 19 Km Puerto Iguazu International Airport. Nice hostel. But bad arrangement of the showers. I stayed 2 nights in hostel Park igazu which I really enjoyed! The staff is very friendly and helpful, the atmosphere is nice, the breakfast is very good , there are big lockers to put the whole luggage, the airconditioner is working very well and the hostel is very close to the bus terminal.